﻿ Indeco Hotels Swamimalai, Kumbakonam | FROM $26 - SAVE ON AGODA! "The architecture and history of this hotel is breathtaking." Have a question for Indeco Hotels Swamimalai? "Staff are all ever smiling and is very clean and is a great place to stay with family." "The premises were beautiful with many sculptures and raindeers." Whether you're a tourist or traveling on business, Indeco Hotels Swamimalai is a great choice for accommodation when visiting Kumbakonam. The city center is merely 5.3 km away and the airport can be reached within 120 minutes. With its convenient location, the hotel offers easy access to the city's must-see destinations. Indeco Hotels Swamimalai offers impeccable service and all the essential amenities to invigorate travelers. Guests of the hotel can enjoy on-site features like 24-hour room service, free Wi-Fi in all rooms, 24-hour security, daily housekeeping, gift/souvenir shop. Step into one of 45 inviting rooms and escape the stresses of the day with a wide range of amenities such as television LCD/plasma screen, internet access – wireless, internet access – wireless (complimentary), non smoking rooms, air conditioning which can be found in some rooms. Throughout the day you can enjoy the relaxing atmosphere of the fitness center, outdoor pool, massage, children's playground, garden. Discover an engaging blend of professional service and a wide array of features at Indeco Hotels Swamimalai. "Ambience is fantastic and well maintained." This property is one of the good Eco hotel .perhaps this is my fifth visit. Very good atmosphere Excellent staff. Good food. Very cooperating staff too. Good chef. Clean modern kitchen. Now in house massage centre is an improvement. Still room and bath room can be more clean and neat. Plug points are in short supply . Tv fridge set top box all in one point mant time either of them is not working. Unless you repeatedly ask they won't give hand towel. Food is pricey. Pleasant helpful staff. 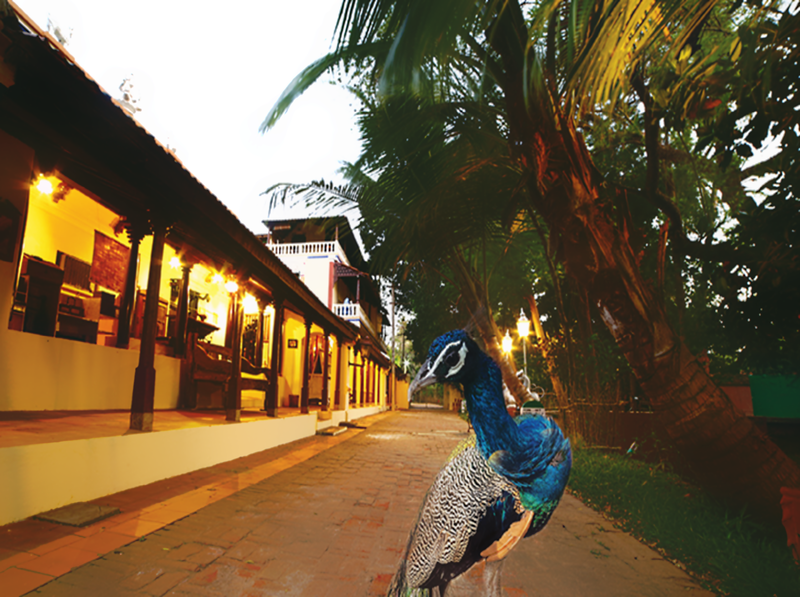 Rural, quiet and peaceful setting with spotted deer, green parrots and old cars and artefacts including a palanquin from colonial times. Old, beautifully renovated buildings with modern comforts. Very good South Indian cuisine. Only let down was the washroom facilities in the dining area. A very good experience ! The staff was really nice and the food amazing ! We like the originality of the place. 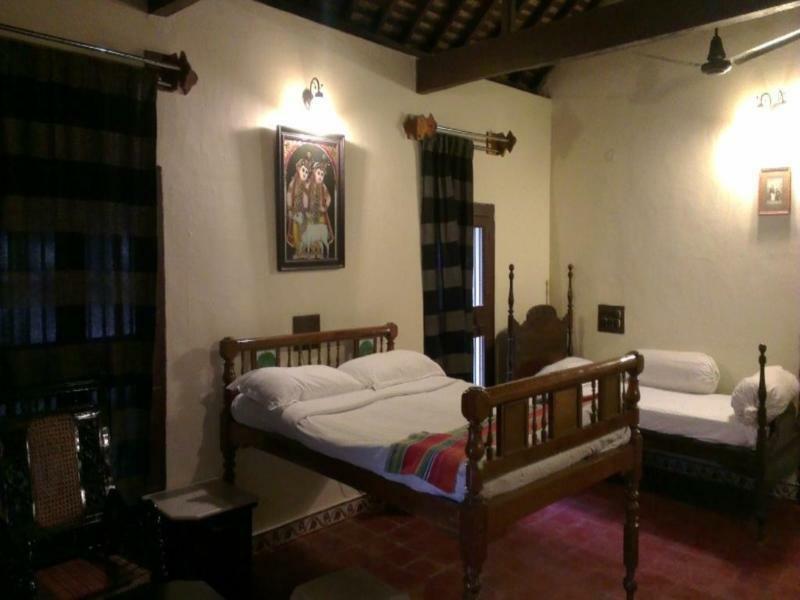 If you are looking for hotels with an ancient feeling then this is the place to reside. The structure is very traditional and it gives you a feeling of the past. The premises were beautiful with many sculptures and raindeers. The staffs were all extremely pleasant. The room was very clean. The electricity went off and came back a couple of times, but i guess that could be considered as going back into past time. Would definitely recommend this hotel if you are visiting Kumbakonam. Place is decent, I've not really found some thing very eco friendly sort of. Good place to see the olden village set-up which is lost in urbanization. There is difference in the way they treat guest depending on various factors. I've not found even the staff that customer friendly. It's not so much a hotel stay then it is an experience. We can highly recommend this resort. It's beautiful, suffused with culture and tradition. 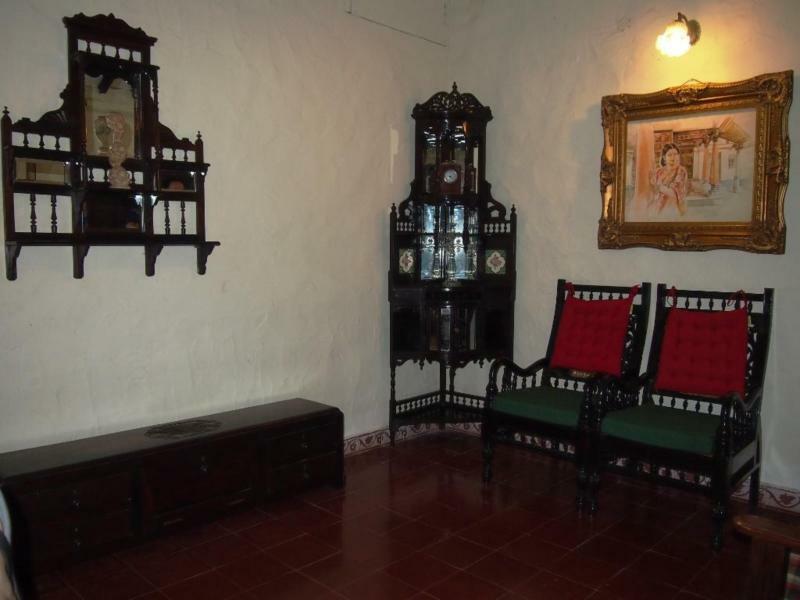 The location is amidst lush green and quiet, with an interesting museum, lots of animals and an excellent breakfast. We went with family and this was a perfect place. Kids even got to learn a things and have fun. They have deer, swans, ducks etc as well as a nice museum. Takes you back to olden times. Ambience is fantastic and well maintained. Very courteous and helpful staff. You need a car to travel around. Arrived at the hotel. No welcome greeting from the hotel. Not even standard "namaste" mentioned nor said. Staff were disinterested and gave us awful rooms. In one room, one bed was covered lots of blood splattered, and the bed sheet was completely old and torn literally! I guess that this "heritage" hotel tried to pass it off as old materials to live up to its "heritage" reputation. No one in their sane mind to sleep in dirty and unhygenic bed with torn bed sheet. Furthermore, I checked bathroom and guess what? More blood splatters all over place and on shower screen. Buckets were full of rust. Come on, Indeco, dont be cheapskate with materials and stuff especially when you charge premium price for rooms! The food from Hotel restaurant is disgusting as it contained few bugs. I complained to waiter and manager about it and I wanted a fresh food without bugs as replacement. They refused as they said that it is part of "heritage" experience! Failed to see why it's highly rated. AVOID!! Lovely environment with a village feel, including deer, cows, ducks, etc. Staff were lovely too. However, the cottage like accommodation leaves a lot t be desired, as they include gaps around doorways that allow mosquitoes in which makes for a disturbed sleep, and the odd dead cockroach around the place. We had stayed here about 3 years ago hence booked again with friends . The experience this time was not good . Room service and restaurant struggled and failed to provide basics like morning tea/coffee. Both arrived cold to our room and after repeated calls were replaced with something that tasted like neither. Breakfast at the restaurant was equally disappointing. Have never eaten such tasteless and even undercooked South Indian food in the heart of south India. The new management seems to have run down the place. Hard to recommend this place to others now. Good place to stay if you are seeing the temples and UNESCO heritage sites all around the hotel. Good food, great ambience, friendly staff. Very interesting for people who love antiques, heritage and history. 3 stars given not given negatively, but because the is a score for improvement. 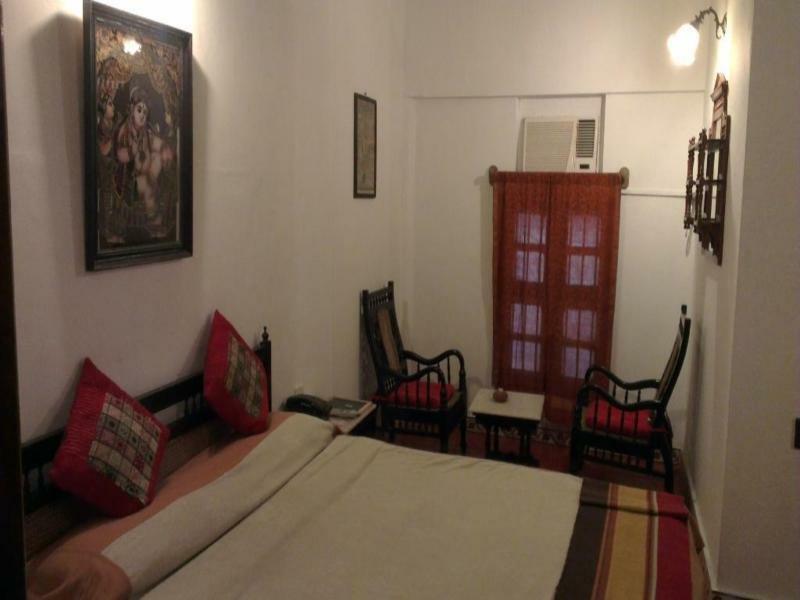 The place is well maintained and had a nice homely feeling. The artefacts at the location is a good collection. Cons; At breakfast time the staffing seemed a little less. The write up in places around the property seem to be fading. This is a must visit place for all travelers to Kumbakonam. They preserved our Heritage and you are sure to feel nostalgic, if you have seen any of them items there before. You can feel the presence of Kanchi Paramacharya and his blessings at this place. We were there only for one night. But it took couple of hours to experience this place, inspite of being on a tight schedule to leave early morning. Recommend this place to anyone who want to experience Hindu heritage.